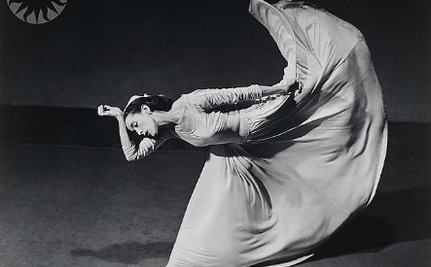 In honor of her admission to the National Women’s Hall of Fame this month, 24 years after her death, I am posting a revised article I wrote about modern dance icon Martha Graham. Many people share their names with famous people. Whether historic, like the lawyer I met named Ben Franklin or in the celebrity category. Our world is full of doppelgangers including all the Katy Perrys, Chris Browns and James Taylors who have suffered ceaseless jokes and remarks due to their name links with these stars. As for me, I consider myself fortunate to bear the name of one of the most creative Americans of the 20th century, the great modern dancer, Martha Graham. And to me, the distinction has always been a special one. Who is this Lady? And Why Does She have my Name? From early on, I wanted to know who the real Martha Graham was. Who was this mysterious lady who shared my name with such distinction? For a while I felt a burdensome obligation to become a dancer when I grew up. 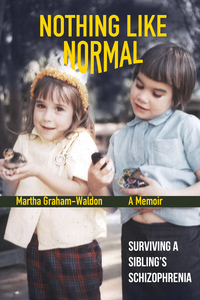 But my parents explained that although Martha Graham was a great dancer, her name sharing was mostly coincidental; they named me Martha because they liked the name. They also did not expect that she would live to be nearly 100 and be around when I grew up! The real Martha Graham was an enigma to me and someone that I thought about often. I began to collect articles about her and I felt a strange bond between myself and the woman who made me feel so special. At age 16, my parents and I attended a dance concert of the Martha Graham dance company at the University of California Los Angeles. The piece performed was Clytemnestra, an eerie and captivating adaption of the Greek myth that I had read in my English class. At the end of the performance, Martha came out on stage and I finally saw her! She was colorfully dressed – a small, graceful and very dignified figure. She was met with tumultuous applause from an appreciative audience. When the curtain call was over and the performance hall emptied out, I quietly went backstage on a compelling and innate impulse as if I was being drawn towards her. Backstage it was strangely quiet. A man stood in front of a dressing room door and I somehow knew that she was behind that door. I told him that I wanted to meet her because I shared her name and he automatically opened the door to me as if this was the most natural thing in the world to do. Martha Graham sat inside that small room. She seemed so self-contained, so tiny, as she rose to greet me with polite interest. The dress she wore had vividly colored silk sleeves that elegantly swept to her sides as she turned to study me intently. “You have the same name as I do?” she asked. Her beautifully sculptured face looked directly into mine and her painted eyes sparkled with interest. “Are you studying now?” she asked sizing me up and down a discriminating eye. “I am studying ballet,” I answered. Indeed, I could see from the hard lines on her face, that the years of dedicated work, public praise and criticism had made her career long and difficult. Yet, her graceful demeanor and stature spoke clearly of the rewards. She consented to sign an autograph for me although her arthritis made this a formidable task. Years later, as the affliction worsened, this request would become impossible. She grasped the pen between twisted fingers as I gazed in awe at her gnarled hands. With painstaking care she scribbled over the cover of my program, “To Martha Graham, Best Wishes, Martha Graham.” When I thanked her and told her what a pleasure it was to meet her, she responded, “It’s a pleasure to meet you.” I knew that she meant it. Years passed since that encounter with her, but my interest remained and I found that the more I learned about her the more inspiring she was to me. I also discovered some similarities in our lives that made the bond between us seemed even stronger. When looking at a calendar of famous women one day, I discovered that my birthday fell 3 days after Martha Graham’s. Upon calculation, I figured out that her age was exactly 3 times mine. I always considered myself to be a non-conformer, as she certainly was with her avant-garde creations that revolutionized the dance world. I was favored with another meeting with Martha Graham nearly 10 years after the first. This time the dance concert was in Berkeley in the piece was Appalachian Spring. After the concert, I again walked backstage unabashedly and asked to speak with her. She was seated demurely with her usual poise, yet something seemed different about her this time. In spite of 10 years passage, I looked into her face and saw no extreme signs of aging, no hint of a light fading. Instead, she seemed happier and more at peace with herself. As we talked, she told me she remembered the Clytemnestra performance and she again wished me well with the same phrase, “Best wishes to you.” I grasped her hand, thanked her and said goodbye. Years later, as I drove to work in my car, I heard on the radio the news of Martha Graham’s death. I breathed a sigh of resignation and felt a sense of loss, but as I listened to the commentary about her life more than anything else I was proud. Proud and honored to have had as my mentor such a strong and idealistic woman. In the end, I chose an entirely different yet equally creative path in life but I benefited from her influence. I am grateful to her for sharing her name with me and for sharing her creative gifts with the world–her masterpieces of human expression and feeling. Her presence changed the world and as a result her spirit will always remain with us. What special associations do you have with your name? Have you ever met someone famous? What was your feeling/reaction? Adapted from an article that appeared in Dance Connection, a Canadian Dance Journal, June/July/August 1991. This entry was posted in Uncategorized and tagged Martha Graham, mental health, Modern Dance, National Women's Hall of Fame. Bookmark the permalink.